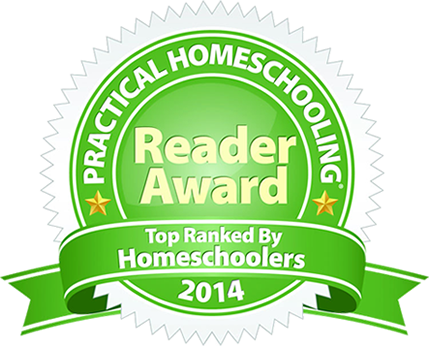 The Maloney Method » Practical Homeschooling Readers Award Winner! « Helping Our Schools Increase Literacy Skills: Part 8 »Why Doesn’t Your School Care That Johnny Didn’t Learn to Read? Practical Homeschooling Readers Award Winner! QLC Educational Services of Belleville and its publishing company have been selected for an international award by the leading homeschooling magazine, Practical Homeschooling. Readers of the periodical selected the company’s reading series, Teach Your Children to Read Well, for its reading programs. The Teach Your Children to Read Well series teaches K-12 students fluent reading skills in a total of 240 lessons, each of which takes about an hour. Michael Maloney, founder of QLC Educational Services, has been using the system in schools, with homeschoolers, foster parents and autism therapists and in his learning centre for more than 40 years, mostly to teach children who are at risk of school failure. Practical Homeschooling Magazine is the Time magazine of the almost 1.5 million families of the homeschooling world. Its editor, Mary Pride is a pioneer in the field ever since parents began to remove their children from schools and began to teach them themselves. Mary Pride is considered to be the “Oprah Winfrey of Homeschooling.” She created The Big Book of Homeschooling, an early compendium of teaching materials for the homeschool community. She also founded the first national homeschool magazine. Periodically, Practical Homeschooling Magazine conducts readers’ surveys to identify the top curriculum picks of its readership. In the most recent survey, the Teach Your Children to Read Well programs were selected as one of the winners. He also became a columnist for the magazine writing a number of columns to explain the way in which the systems involved in his teaching method worked. Maloney has been the recipient of numerous honours, including this country’s the Parents’ Choice Award, The Curriculum Digest Best Product Award and Canada Post’s National Literacy Educator Award.